Ideal for first home buyers and ready to occupy or a great investment opportunity in this high demand city fringe location. Featuring security intercom entry, lift access and situated on the fourth floor of Kensington's landmark Vue Complex. This super spacious one bedroom apartment offers city skyline and park views with unencumbered access to the Maribyrnong River trails. Featuring plenty of natural light the open plan living has full width balcony access and the well appointed kitchen includes an island bench, stainless steel appliances, gas cooking and dishwasher. The separate double bedroom includes mirrored built in robes and also has balcony access. The bathroom includes a Euro style laundry and shower over bath. 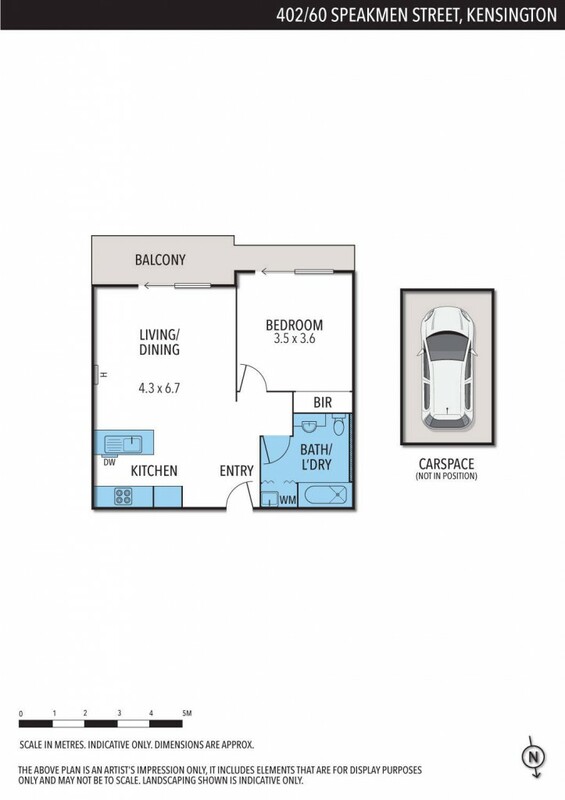 Additional features include a basement car park and a fabulous position close to shops, cafes, public transport, South Kensington Station, Flemington Racecourse, sports facilities and easy city access.